Destiny 2 will be available on the Battle.net app to claim for free for a little more than two weeks in November, and players will have the opportunity to download the game once they’ve claimed it. New Battle.net accounts created after 11:00 a.m. PDT on November 2, 2018, will be required to enable Blizzard SMS Protect before claiming their game license. 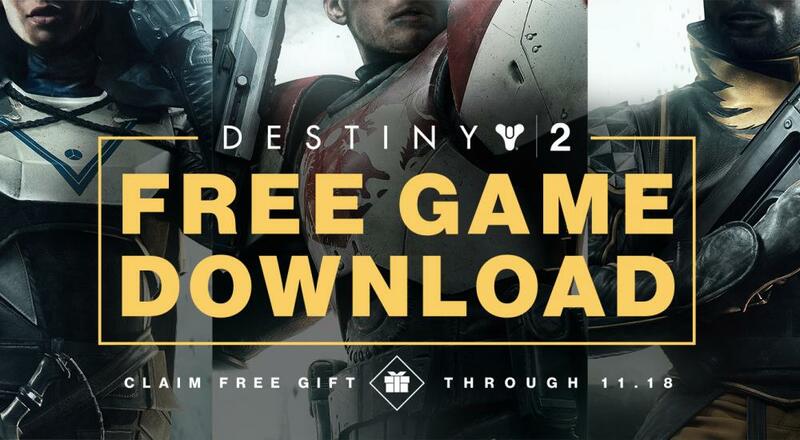 Destiny 2 is redeemable from https://account.blizzard.com/gifts/. Additionally, the PvPvE mode Gambit, which is only part of The Forsaken expansion pack, is free for all users November 9th through the 11th. The Forsaken (and other previous expansions) are not included as part of the free deal. Page created in 0.3325 seconds.